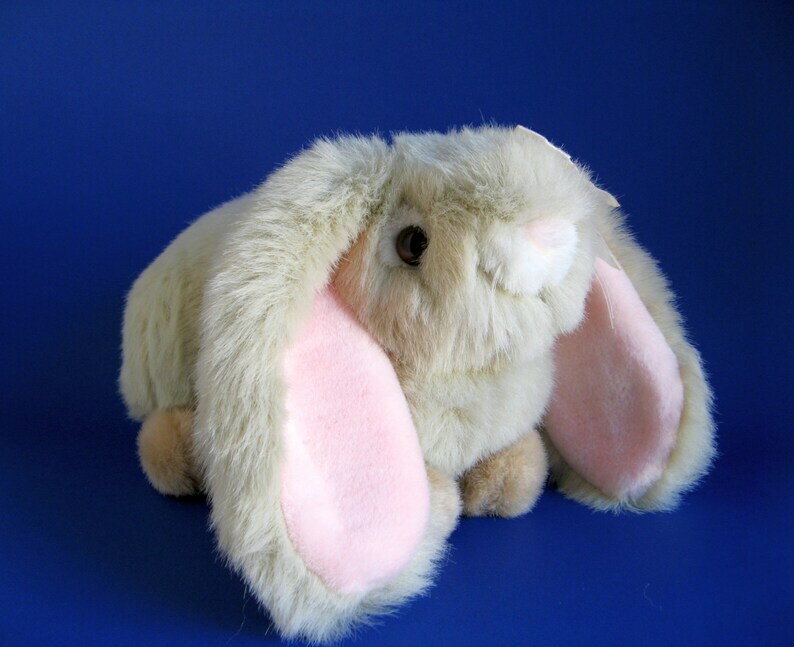 Adorable fluffy vintage lop eared Bunny Rabbit stuffed animal. This girly bunny has pink under her long ears! She is wearing a pink ribbon on her head. She is extremely well made with gray fur, tan feet and pink inner ears that match a pretty pink head bow. Made by Chosun probably in the 1980s & she still looks wonderful. She is in excellent, gently played with condition.